Maybe it's the fact that the weather is finally starting to feel like fall or maybe it's because I had time to stop by Starbucks on my way into work this morning, but either way I'm one happy girl today. I'll be the first to admit that I'm not usually this charming this early in the morning, but I suppose there is a first for everything, right? So let's savor the happiness of this Tuesday morning and talk about things, other than fall weather and Starbucks, that make me especially happy. // Puppy Snuggles. They are the best! Granted, 2:00am puppy snuggles can get a little suffocating, but it's all worth it when you wake up on a cool morning curled next to a warm, snoring pup. // Shoe Sales. Because the only thing better than scoring a new pair of fall booties is scoring them for 40% off. // A Fresh Manicure/Pedicure. I used to be one to get my nails done at least every two weeks, but then this thing called adulthood happened and my mani/pedi dates became a little less frequent. Now things like groceries and power bills have to take precedent over getting my nails done, which is why I'm savoring my freshly manicured fingers a little bit more than a usual at the moment. // A Clean Home. No laundry to do or dishes to put away, just comfy clothes and a relaxing evening at home with my husband drinking a glass of wine and clearing out the DVR. Those are my favorite kind of nights. // Giveaways! And today I have an awesome giveaway just for you! 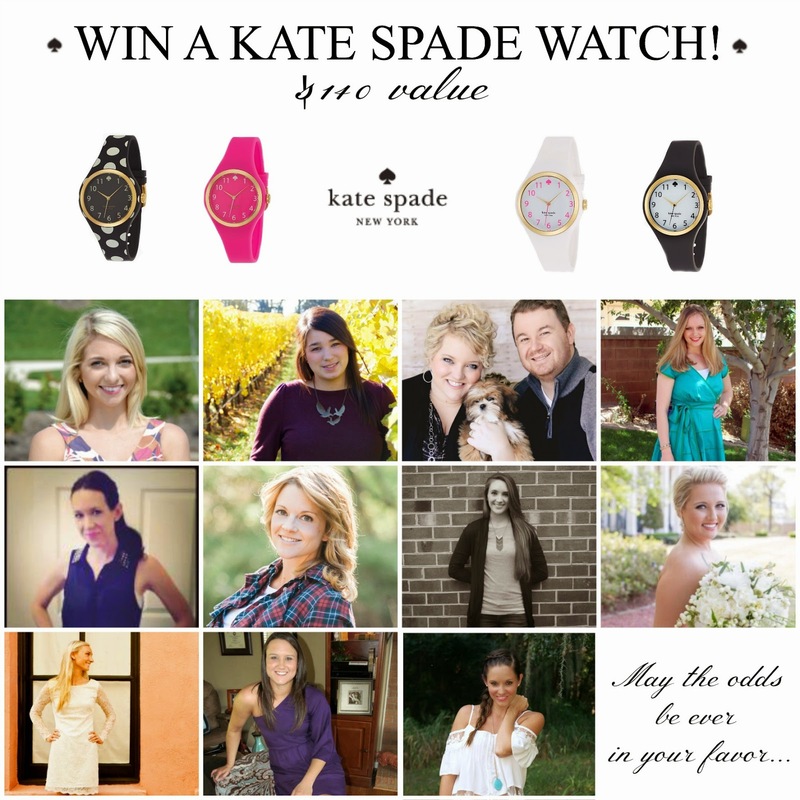 I've teamed up with a group of fabulous ladies to bring you a chance to win an adorable Kate Spade watch. Enter via the Rafflecopter below. Good luck!! This giveaway will be live from 12:00am EST on October -- through 12:00am on October --. Open to US residents only. All entries are verified. Winner will be contacted via email and has 48 hours to respond and claim prize or a new winner will be randomly chosen by the Rafflecopter. 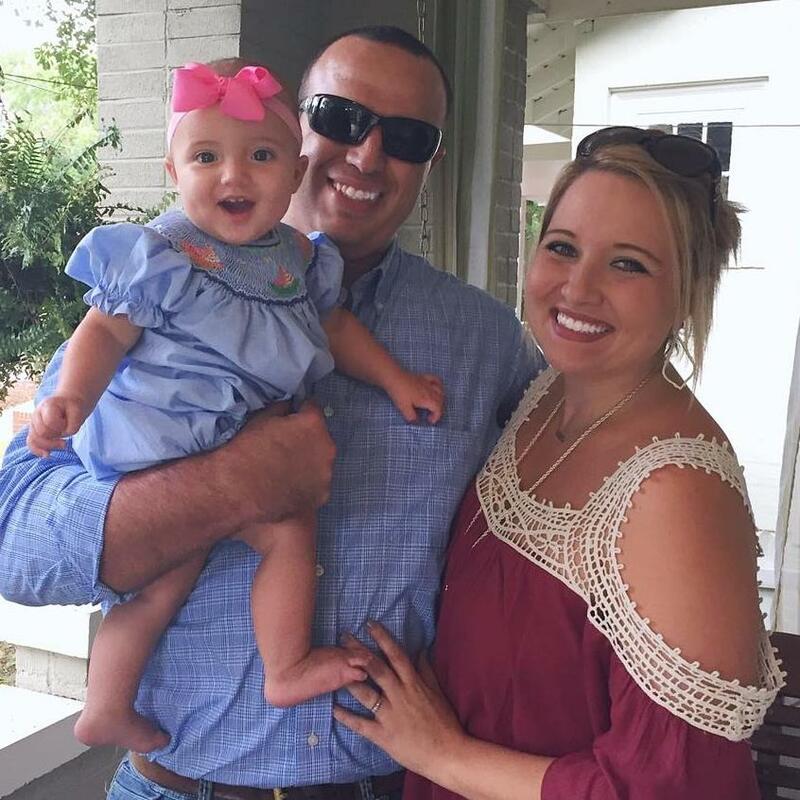 As for favorite blog to read- Always Ashten! Agree with all of these! Esp puppy snuggles! Puppy snuggles are my favorite!!! Where did you find booties for 40% off?!?! Share with me your wayyyyss!!! i could totally go for a mani/pedi followed by some puppy snuggles right about now. fabulous giveaway!! OMG, the house thing for sure!! I looooove having everything done and can just sip on a glass of wine, catch up on shows (while puppy snuggling of course!) and not worry about anything! LOVE me some puppy snuggling. MY poor baby had to be taken to the emergency vet last night. Makes me so sad.